Reichheld and his team found that this method worked best in determining a consumer’s brand loyalty. But what is a good score? A high net promoter score means your company has earned more promoters than detractors. This is a positive sign, but how should you interpret your NPS? How will you set goals to improve your brand? Use the following 8 steps to analyze NPS data — so that you get actionable insights that demonstrably help your business. NPS helps you divide demographics into different segments with summaries. You can segment customer responses more effectively when you collect this data. It will also help improve the way you sell to a specific group. It helps you to figure out what works and what doesn’t for a certain demographic. When you integrate your survey software with a CRM, you can collect data easily on all the demographics you track. But if you want to promote the survey as being anonymous, you need to use another approach. Think about the three most important ways you want to segment the data. Add the questions to your survey. These questions should be at the end of the survey or on a second page. This prevents survey respondents from being influenced by the questions before they answer the NPS. 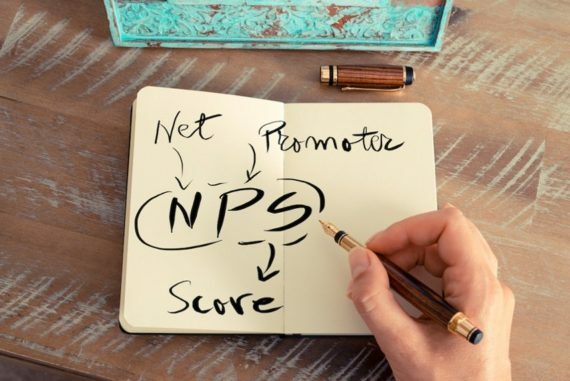 The NPS score is based on respondent answers to the question: “On a scale of 0 to 10, how likely are you to recommend us to your family and colleagues?” But the score will not tell you how to improve your company’s performance. You need to analyze the open-ended answers to the question: “Why did you give us that score?” if you want to know what you need to improve and how you can improve it. Each response is known as a verbatim. You learn what each response is about by “coding” or tagging each customer response with one or more codes. You can also effectively sum up the results of the entire survey. I was impressed by how friendly the person on the other end of the line was. The lady who helped me was friendly. All these comments mean the same thing. You need to code them with the theme staff friendliness. The second approach is more valuable because you learn more from your customers and what matters to them. Automated analysis can help discover themes which translate into direct actions. These actions help improve the customers’ perception of the business. How? It helps to find people who are most upset about certain themes. It helps to find people who left their names/contact details. People reading a large volume of responses struggle to notice an emerging theme. When they do notice it, they have to go back to all past responses and re-code them with this new theme. Automated verbatim analysis is a better option. It is faster and more consistent. It allows companies to ask more customers for their feedback. When you show concern for your clients’ feelings, this makes your brand more customer-centric compared to others. You need to instruct certain teams to review pertinent customer comments. These comments can help improve the company and its products and/or services. It has been proven that “1-in-1,000 comments is a discontinuous innovation opportunity.” This innovation comes from customers – one that you won’t find inside your business. Some customers provide business leads in their comments. Which themes are frequent and correlate with high NPS scores? Example from NPS benchmark survey of several banks. Getting customer feedback is the easiest part of net promoter score analysis. Identifying the root causes of how customers feel about the company, its product or service is harder but essential. If you want to improve customer loyalty, you must understand what drives it. Make sure you have enough data collected over at least 10 time periods. As a rule of thumb, at least 500-1000 verbatims per period. Find themes in verbatims by performing either manual or automated coding. Load frequency counts into Excel. Then, calculate the correlation between two sets of numbers: the NPS scores and the themes frequencies. Some solutions, including Thematic, offer this analysis as one of their reports. 6. What is the value of a customer to your company? You need to know the value of your customer. You should also know the value of moving them up the customer feedback scale. Knowing the value of your customer will help you figure out how to improve management efforts. For example, according to entrepreneur, Michel Falcon, when his business implemented Net Promoter Score analysis, their NPS score increased from 68 to 85 within two years. At the same time, referral and repeat rates increased as the company’s promoters increased. When you conduct a time-based customer feedback analysis like Net Promoter Score analysis, you need to determine what is real change compared to a statistical anomaly. To do this, you need to look at the longer-term trend. If a score increases or decreases seven times in a row, this is a good indicator that the change is real and not a statistical aberration. You must resist the urge to compare scores from different geographies. Research shows culture affects NPS results. One American company found that a Dutch company it acquired had a low NPS score compared to its American counterpart. The score had nothing to do with the quality of service from the Dutch company. It had to do with how Dutch respondents gave the scores compared to American respondents. Americans give more extreme responses and Europeans were more conservative with their answers. Try to look deeper into themes in different regions. You can learn what matters to different cultures and how you can deliver on that. It is also best to avoid comparing one type of survey with another. For example, in one study, a company received a 59% NPS from a telephone survey. The same company received an 18% NPS from a web-form survey, using the same survey questionnaire. The Net Promoter Score (NPS) is a simple tool that businesses can use to measure customer satisfaction. The number of companies using this tool to this day proves that it is effective. Just remember, improvements will not happen instantly. You need to get customer feedback regularly. Do due diligence in Net Promoter Score analysis using verbatim analysis. You also need to actively work to improve your company and its product or service. By doing so, your business will achieve long-term customer loyalty.